The longer you journey with your eyes on heaven, the more you begin to see. And that’s why I’ve written an updated version of my 1995 book, Heaven. Why did I revise it? I’m in a very different place than I was 25 years ago. Maybe it’s the added years of dealing with the effects of remorseless gravity on an aging, paralyzed body. Perhaps it’s because of the tooth-and-nail battle with stage III cancer. Simply put, I’ve seen more, studied more, suffered more, endured more, learned more, and prayed more. Most importantly, I’ve fallen more in love with Jesus. That’s the beating heart of what I want to say in this new edition of Heaven. In the original book, I made the point that heaven isn’t so much a Place as it is a Person. But I didn’t say nearly enough. Yes, Jesus said, “I go to prepare a place for you.” But it isn’t the mansion or celestial condo or quarter acre of heavenly real estate that really matters to me. It’s Him. Truly. If Jesus is there—wherever there is—it’s heaven. Yes, of course I long for a new body that runs, dances, swims, and embraces loved ones on the other side. But what I really want is Jesus. The Son of God who loved me and gave Himself for me. My Savior. My King. And I want you to have that same delightful desire for Jesus, especially in your hardships. So, I hope you’ll order a copy of my book, Heaven… and pick up one for a friend who is going through tough times. It’ll help show how our sufferings connect us more closely to our eternal Home. 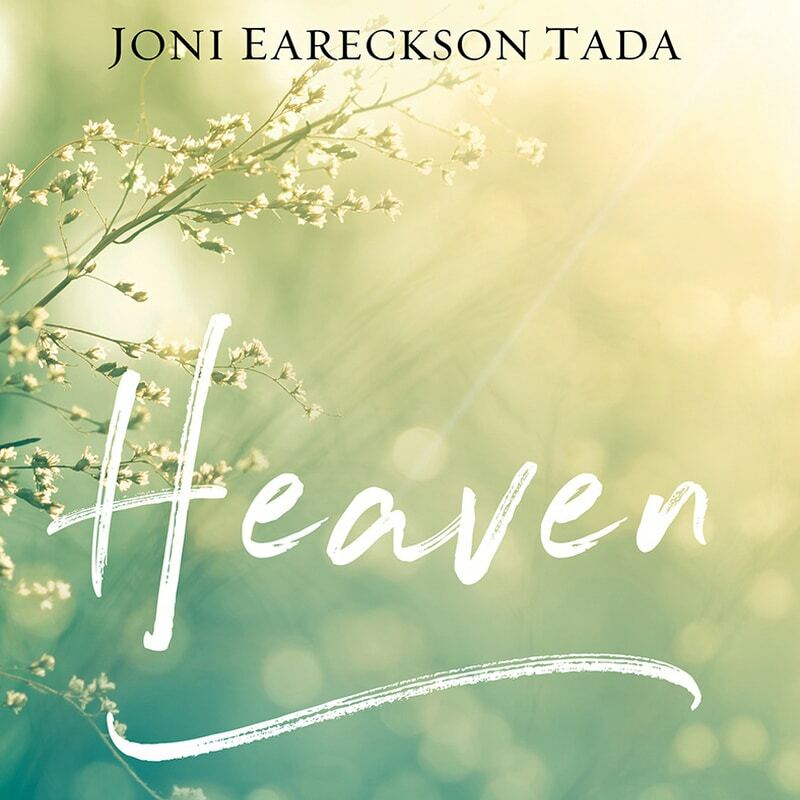 And don’t forget, all proceeds of your purchase go directly to supporting the outreach of Joni and Friends – thank you for laying up your treasures in heaven as you partner with us!